It is variously because I like peonies. The element of the most favorite by I peony is a smell. It is a very nostalgic smell. There was a peony in the garden of my house though might remembered by nobody. The memory of the smell strongly remains still though it thinks because it becomes the age of. It is father for fragrant of iron. It is mother for fragrant of the foundation. It is an elder sister for lady in love's smell (Is the principal ingredient a shampoo?). It is an elder brother for fragrant of a new electronic substrate and plastic. 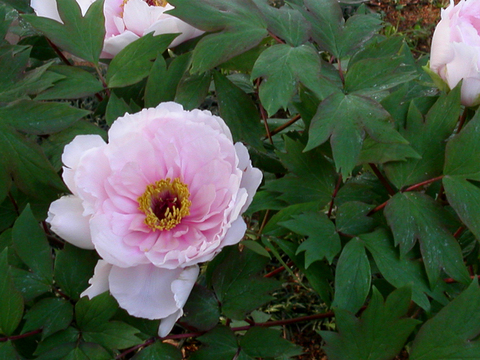 And, it is a grandmother in the peony. Is it nostalgia so? Sense that the vicinity of center of gravity just lifts in head. It is just good for such a damp day.